Transportation officials and car manufacturer representatives discussed on Thursday the threat of injuries in South Florida from defective airbags. Repairing a defective airbag involves replacing a metal cannister located inside a car's dashboard. 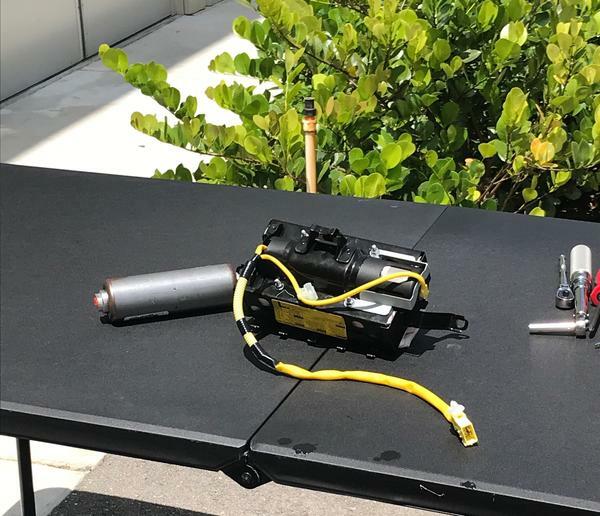 "It's critically important here in South Florida and Florida because of the hot and humid weather," Heidi King, the Deputy Adminstrator for the National Highway Traffic Safety Administration, said at a press conference Thursday at Broward College meant to raise awareness about the issue. "The airbags become unstable and can explode because of the defect when exposed to heat and humidity over time." Takata recalled an additional 3.3 million airbags in January, expanding what is already the largest automotive recall in U.S. history. The manufacturer is expected to recall more through 2020. 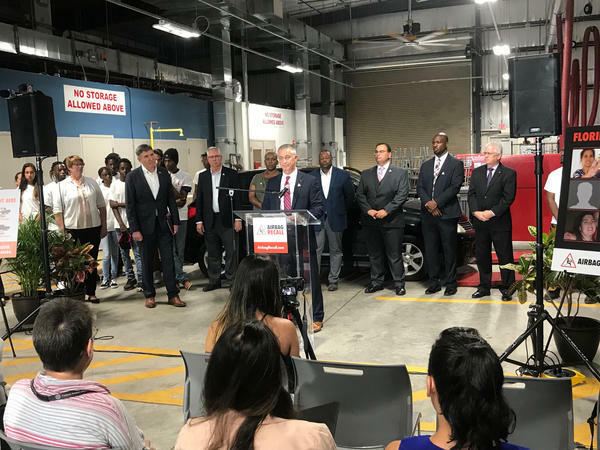 Florida has seen three fatalities from airbag explosions, and King said Miami-Dade and Broward Counties are lagging behind other parts of the country in repairing defective airbags. A number of older vehicles include the faulty airbags. South Florida residents can bring their vehicles to service centers where the airbags will be replaced for free. "We're determined to make sure that we have these vehicles repaired and brought into their dealerships for free," said Francis Hebert, zone manager at Mazda North American operations in the Southeast region. Along with Ford and Toyota representatives, Hebert said they're trying to educate car owners about the defective airbags by sending flyers, among other tactics. The speakers also noted that people can check whether a car has a defective airbag by entering the vehicle's VIN number into nhtsa.gov/recall.